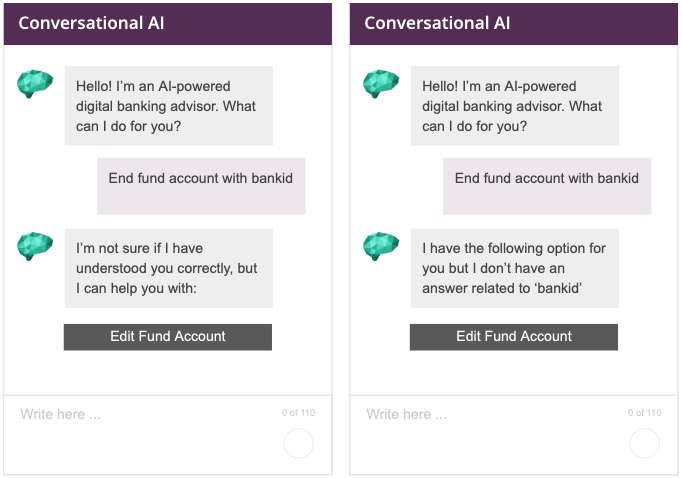 Thanks to Automatic Semantic Understanding, AI-powered digital advisors can now go beyond the confines of ordinary chatbots. 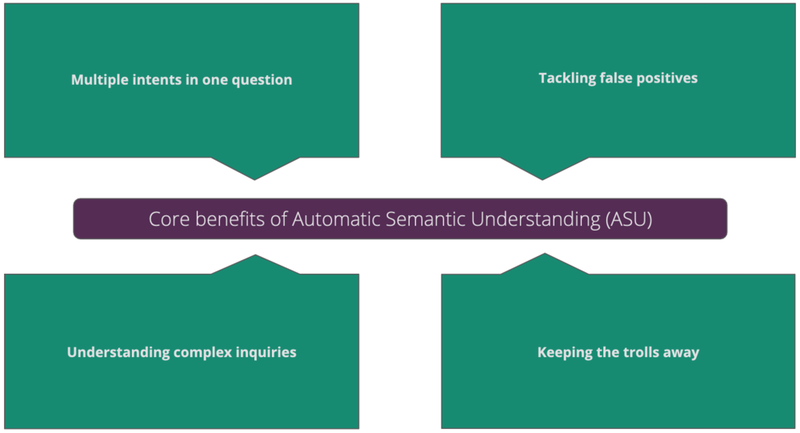 Using Automatic Semantic Understanding to help AI-powered digital advisors go beyond the confines of ordinary chatbots. Plenty of chatbot solutions on the market today claim to use deep neural networks with Long Short Term Memory (LSTM) to achieve results. Thanks to advancements in technology (and the lowering price of the cloud) this isn’t a surprising turn of events. What is surprising, however, is just how often these solutions seem to fall short of their bold promises. Any machine learning or deep learning algorithm attempts to find patterns in its training data that distinguishes particular classes (or targets) from one another. A recurrent neural network, like LSTM, takes into account not only the adjacent words in a sentence but also the context of each word — thus the sequence of the words is important. 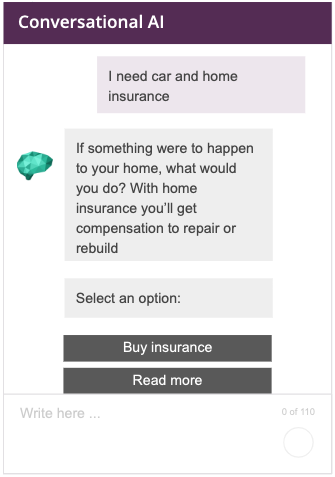 We can see from the backend how the virtual assistant interprets the query and has no trouble identifying the correct intent — in this case, ‘Order car insurance’ — with a probability score of 99.42%. In this instance, the model becomes confused due to conflicting information in the question. 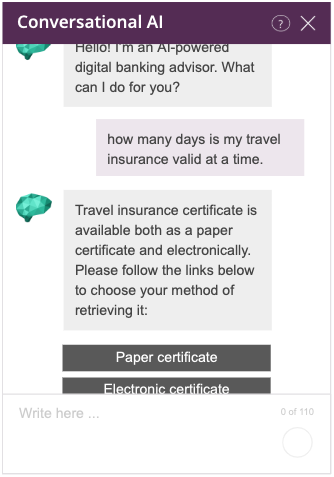 This is the typical outcome you can expect from a lesser chatbot built on LSTM or any other deep neural network — it can manage simple questions easily but tends to sweat the more difficult ones. 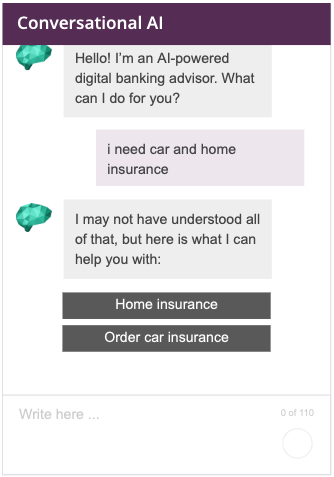 A deeper understanding of what customers are actually asking for allows digital advisors built on our algorithms to respond with more helpful answers overall. In this example, the model doesn’t have an intent specific to travel insurance validity. The deep learning model generated a response with the closest matching intent but ultimately the answer it arrived at was wrong. 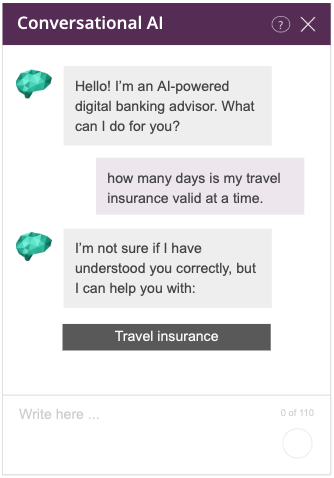 The model, instead of jumping directly to a response about travel insurance, provides the customer with travel insurance as an option, while establishing that it doesn’t fully understand the question and isn’t confident enough in providing an answer. It shows the customer that, while the question may not have been fully understood, an approximate answer is offered. We can now easily identify on the backend that a ‘validity of travel insurance’ intent should be created to avoid a repeat of this situation. The first step in achieving deeper understanding is to build a good classification model for intents. 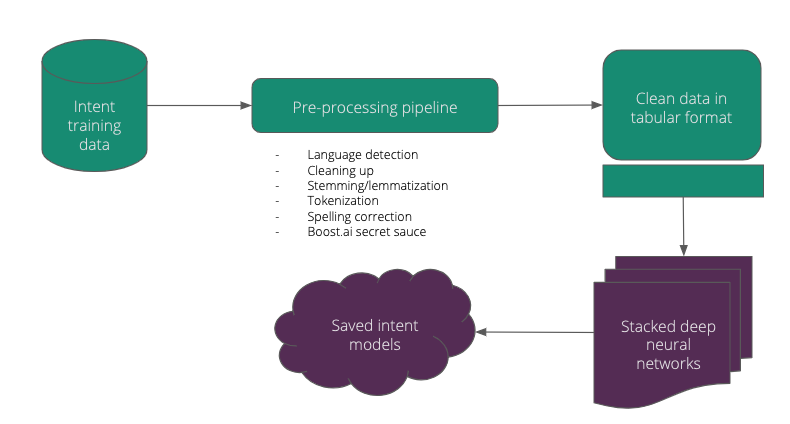 Inent predictions are made using a combination of deep learning models such as recurrent neural networks (RNN) and convolutional neural networks (CNN). These are also combined with the general preprocessing steps that are quite standard in NLP — e.g. stemming, language detection, tokenization, etc. 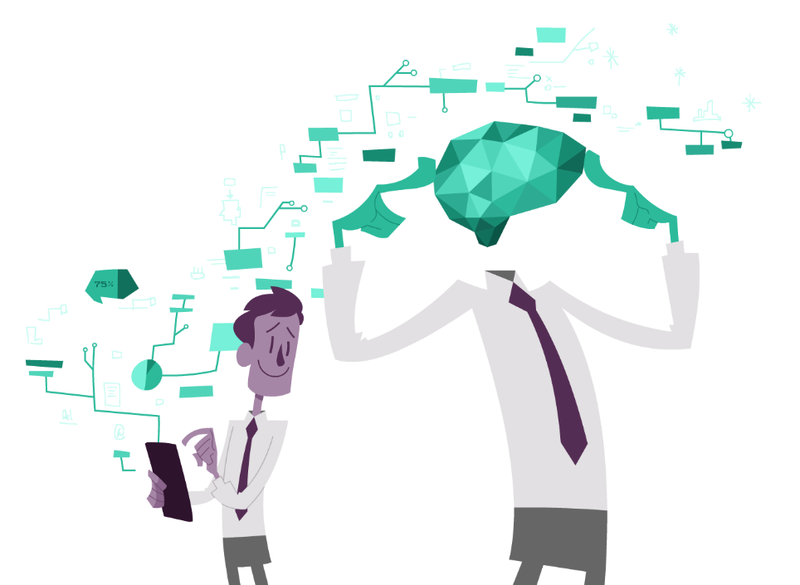 Through a combination of highly modified/adapted preprocessing steps, and deep learning models, we create a natural language understanding model which identifies the intent and performs far better than any keyword-based model. These deep neural network graphs are then used in the live setting to determine the intent of a user’s message. The resulting intent models, however, only perform well up to a certain extent, often giving poor predictions when it comes to data that has not been learned by the neural network. At boost.ai, we have tackled this problem by developing Automatic Semantic Understanding (ASU). 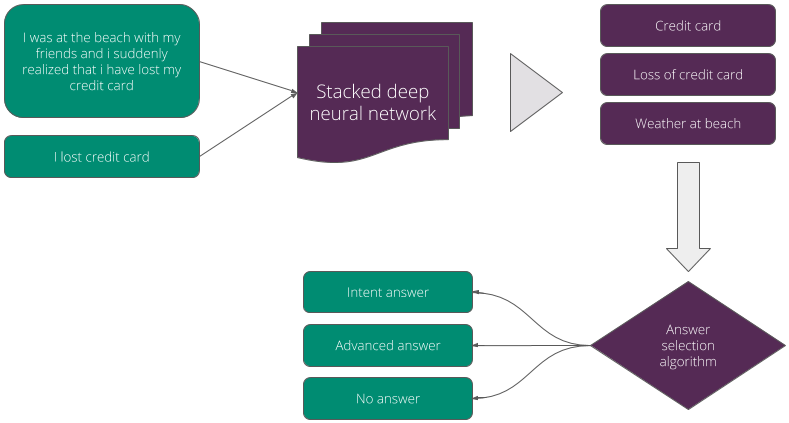 By adding these extra neural networks to conversational AI, we are able to offer more complex responses and eliminate bad false positives by over 90%. 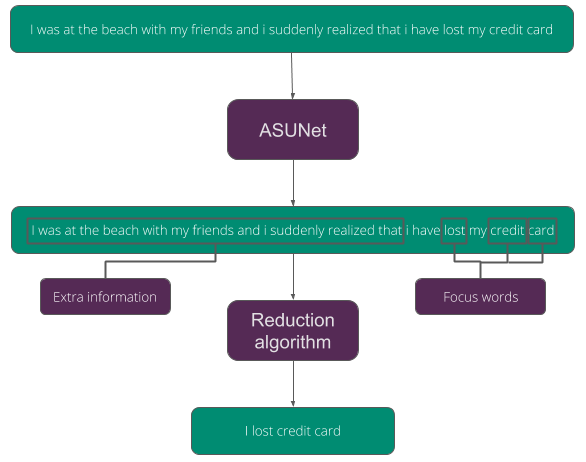 Both the ASU neural network (let’s call it ASUNet) and our reduction algorithm are trained on customer data, just like all other neural networks in boost.ai’s solution. This means they are able to also able to parse synonyms, acronyms and important words with relative ease. 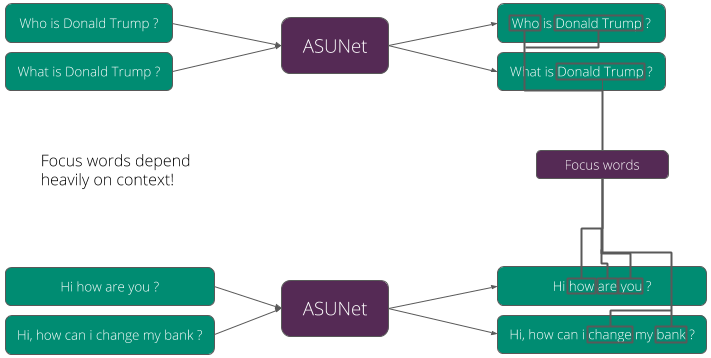 ASUNet is unlike other traditional topic extraction algorithms which are keyword-based. Instead, it extracts focus words depending heavily on the context of the question. In this example, ASUNet marks the ‘who’ in “Who is Donald Trump?” as a focus word. Conversely, in the second sentence, “What is Donald Trump?”, it recognizes that ‘what’ is not important (likely because it doesn’t make grammatical sense). The same is true of the second example where we see that “how” is identified as a focus word while ignored once the context of the question changes. Depending highly on context enables us to extract only the most useful focus words, giving them a higher priority before they are sent to the next reduction algorithm. It should be noted that the reduction algorithm does not always only use focus words to compress a question into the smallest possible phrases. Rather, it combines these focus words (which are categorized by their level of importance) with any remaining words for compression and returns the best result using a voting mechanism. The response on the left shows a result where the digital advisor responds with information about what it knows. For the response on the right, the user is informed of what it doesn’t understand in the context of the question, yet still provides an answer that might be helpful. We see how ASU makes a confused deep learning model more useful. The question would have produced no desirable results without ASU activated, even though the data is available and the digital advisor actually has access to the correct the answer. Of course, it’s all well and good if the algorithm works as described in theory, but can it actually deliver results when tested out in the real world? We then compared the results both with and without ASU. We saw that the percentage of bad replies reduced significantly from 18.3% to 4.5%. 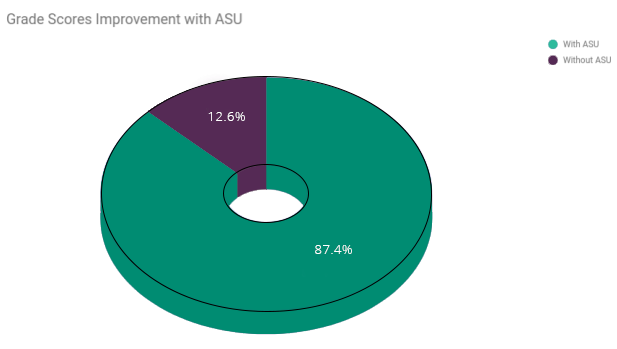 Furthermore, in instances where the digital advisor would offer too general a response, the activation of ASU turned 52% of those cases into satisfying answers. 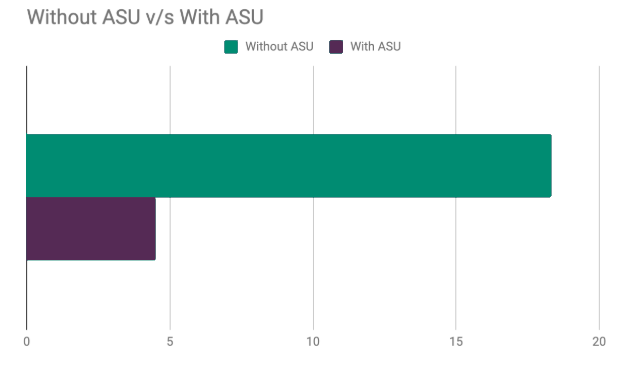 Looking at the questions that had neutral and bad scores, ASU managed to significantly increase the user experience of many of them since 87.4 % of the questions show a quantifiable improvement in their replies. Another significant outcome is that 5.1% managed to go from the lowest score possible to the highest score possible (i.e. a perfect answer). 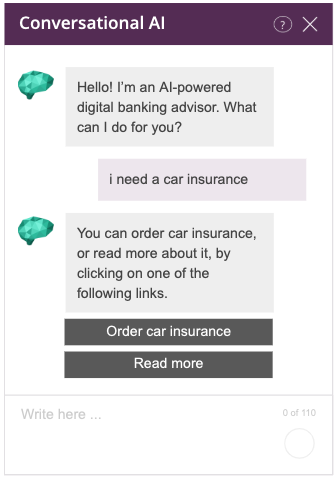 When a customer asks for several things at the same time — for instance, multiple insurance products — conversational AI can easily distinguish between multiple variables. False positives occur when a customer requests something that is not covered under any intent in the module, yet rather than reply with an ’unknown’ statement, presents a response from the existing intent tree. ASU is able to identify the relevant parts of a message and offer assistance based on existing knowledge while acknowledging the gaps in its ability, minimizing the number of (and harm caused by) these cases. ASU increases conversational AI’s ability to better understand customers with low internet experience, elevating a typical user experience from good to great. The way in which ASU handles inquiries helps to reduce the chances that users find replies that could be used for criticism, negatively affecting a brand.